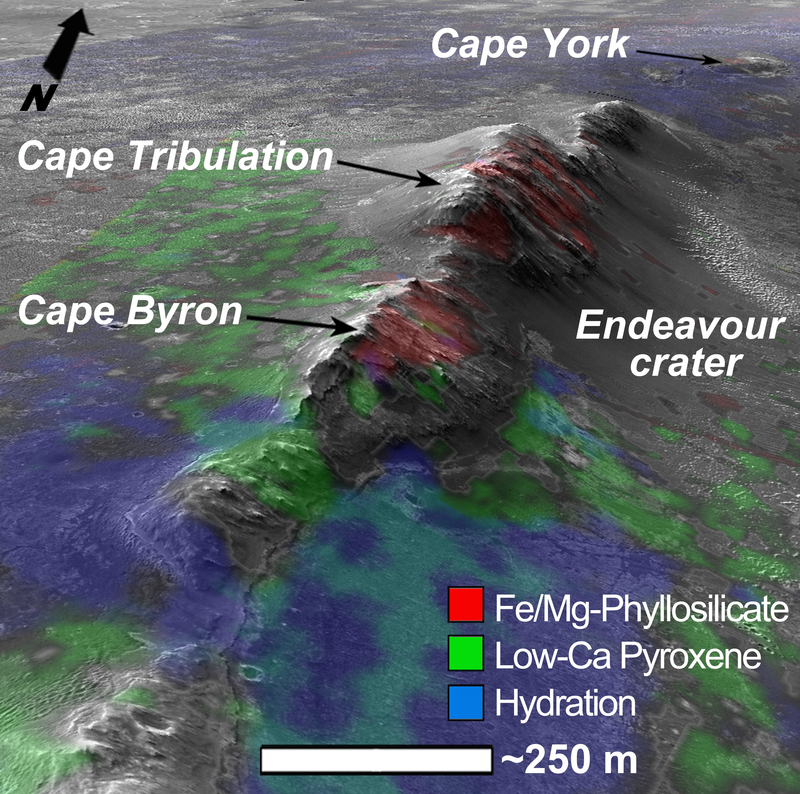 Opportunity has been on the western rim of 20-kilometer-diameter Endeavour Crater in Meridiani Planum for about two years investigating the 3-4 billion-year-old sedimentary layers of Cape York. 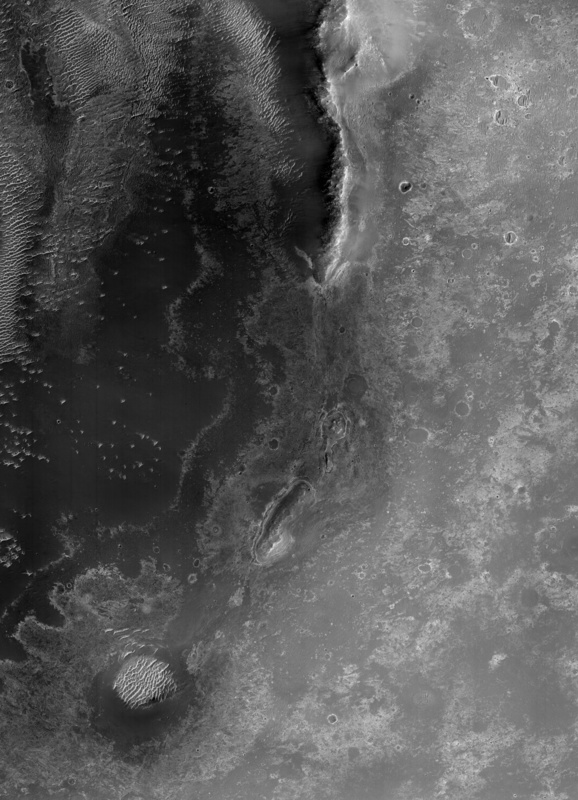 Now, more than a decade after the Mars Exploration Rover Opportunity’s 2003 launch, this HiRISE image captures the rover traversing south to new science targets and a winter haven at Solander Point. 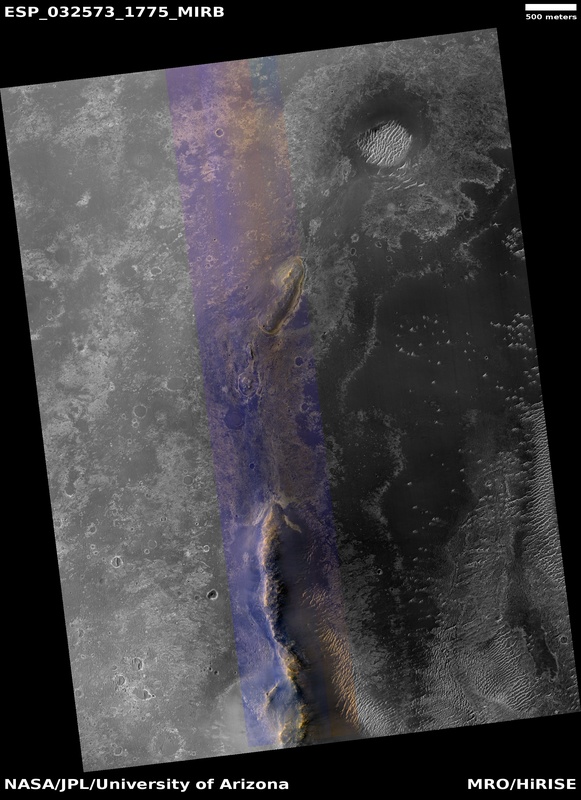 Opportunity’s destination at Solander Point is thought to have abundant clay-bearing rocks (as detected from orbit) as part of well-exposed geological layers that are sure to provide vital clues to Mars’ watery past. 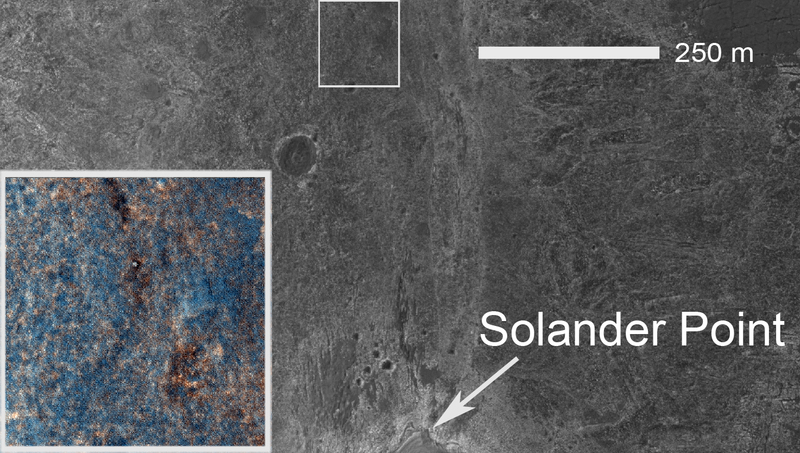 In addition, the north-facing slopes at Solander Point will maximize the amount of solar energy the rover can collect and allow a more productive southern winter science campaign. Opportunity has been investigating younger sedimentary units exposed in the smaller craters of Eagle, Endurance, and Victoria for the last 9.5 years. 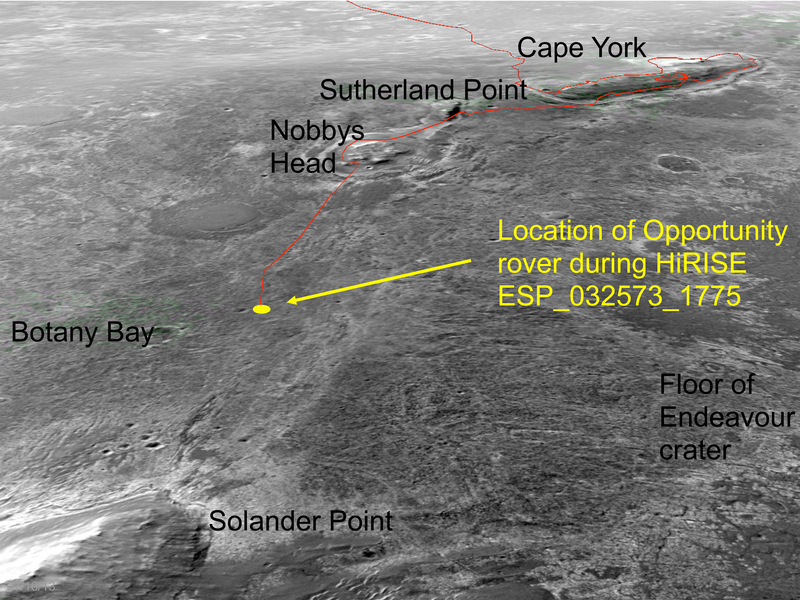 By driving across Meridiani to Endeavour Crater, Opportunity currently holds the US space program’s all-time record for distance traversed on another planetary body at greater than 36 kilometers or 22 miles. 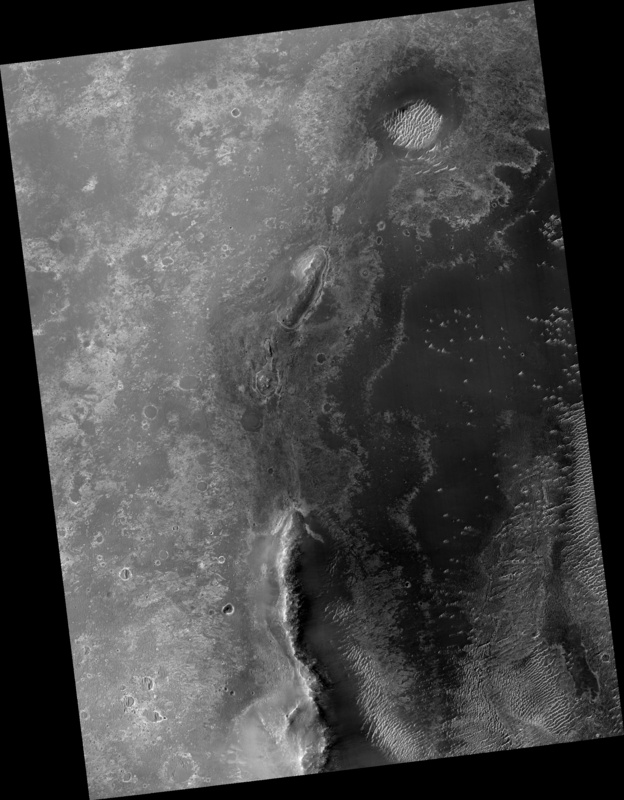 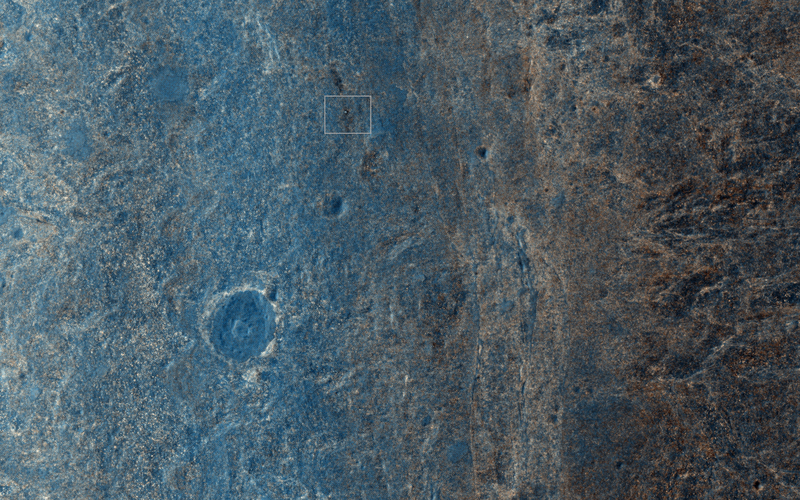 This image, a HiRISE digital terrain model, and cameras on board Opportunity aid rover drivers in identifying safe routes. 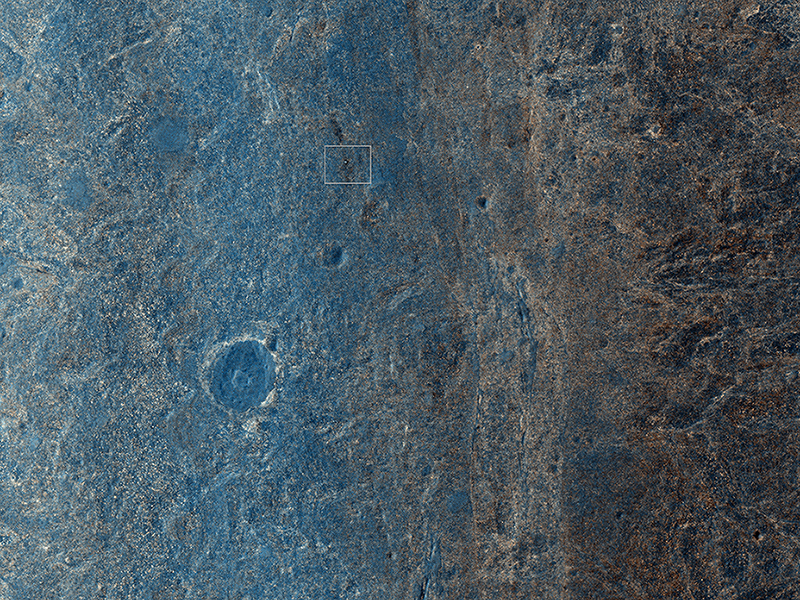 Additionally, they assist NASA geologists in finding attractive science targets for future investigation. NB: This image was acquired on 8 July 2013, or Sol 3361 of the rover’s surface mission 10 years after launch.